The prosecutor's office seeks the arrest of the ex-mayor. 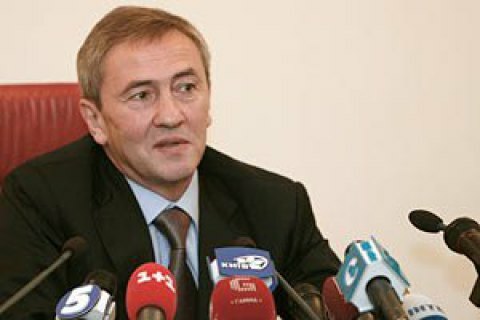 The investigators of the Prosecutor-General's Office on July 25 obtained the sanction of a court to detain the former mayor of Kyiv Leonid Chernovetsky and bring him to court which is to decide on his arrest, the press secretary of Prosecutor-General Larysa Sarhan said in a Facebook release on 26 July. On July 14, the PGO informed Chernovetsky about suspicion. He is accused of abuse of office during the construction of a helicopter pad on the Parkway in the nation's capital. The investigation believes that the former mayor is involved in illegal seizure, change of special purpose and transfer of especially valuable land for rent for the construction of a helicopter pad. He is also charged with understating the size of rent for land and destroying archaeological heritage site. The construction caused an estimated 250-mn hryvnia damage to the territorial community of the city of Kyiv. The Kyiv helipad situated several hundred meters from the Verkhovna Rada, was commissioned on 6 June, 2012. It was supposed to be used by the then president Viktor Yanukovych to shuttle to and from his residence in Mezhyhiria outside Kyiv. Chernovetsky is known to be living outside Ukraine.